Celebrate the birthday of Robbie Burns – Scotland’s favorite son – and discover how much of London is really paved in tartan!! Burns night is celebrated around the world… but how many of us really know his poetry or why we address the haggis? I created this event a few years ago with Joanna, and it’s been hugely popular. Buy your tickets early, as this event will sell out. You’ll have your toes tapping, your tongue twisting and your taste buds tingling on this Discovery walk. Think you know everything about Scotland’s National Bard? Think again! From Scotland Yard to Haggis and Neeps, this walk will introduce you to not one, but two Robbies. If you like exploring London’s side streets or simply want to build up an appetite than join fellow Tastourians than join us in celebrating the birthday of Scotland’s favourite son with a wee dram (or two) of Whisky! -An invitation to join us at one of London’s best Scottish Restaurants for a drink/dinner, post-walk. As many of our walks fill up, the meeting point will be sent with your payment confirmation. We want you to hear the guide throughout your experience; therefore, the number of people on this walk is limited to around 15 attendees. This is one of seven fascinating walks hosted by Joanna. Our walks focus on exploring famous pubs, restaurants, bars… and let’s not forget historical and modern day epicurous adventurers. Add in a few fantastic food related shops and a bit of Art History and this afternoon of discovery will give you a taste of an area you will surely want to visit again! Most importantly, we limit the number to around 15 people. This allows you to hear the guide and whilst providing a good mix of people to enjoy the experience with. Joanna has hosted nearly 30 walks for our group. Each walk is carefully planned, and updated with quirky news stories and property prices. If you want to know which house just sold for 17.83 million, where Nigella Lawson lives or the bar Prince Harry was last seen at sharing a £112 cocktail, Joanna will know it. If it’s history your after, you’ll be impressed… did I mention she’s a qualified City of Westminster guide? There will be an optional drinks/dinner arranged after the tour. The venue is one of London’s best Scottish Restaurants. 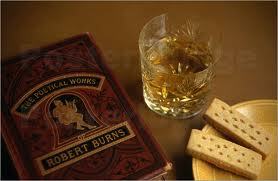 This entry was posted in Events, Walk and tagged Robbie Burns on 6 April, 2012 by adminfw.